Look at my lupin, I'm so proud! I've never grown one so spectacular before, the slugs usually treat themselves to an "all the lupins you can eat" buffet, but this year this plant has no less than 11 flower spikes so far! Wow - that is impressive! Mine have limited themselves to a few leaves so far, but only planted a few weeks ago from a bargain £1 root at Morrisons. I dream of such bloomery! Brilliant. Must show this one to my son. he can recite the three headed night sketch start to finish, with accents! 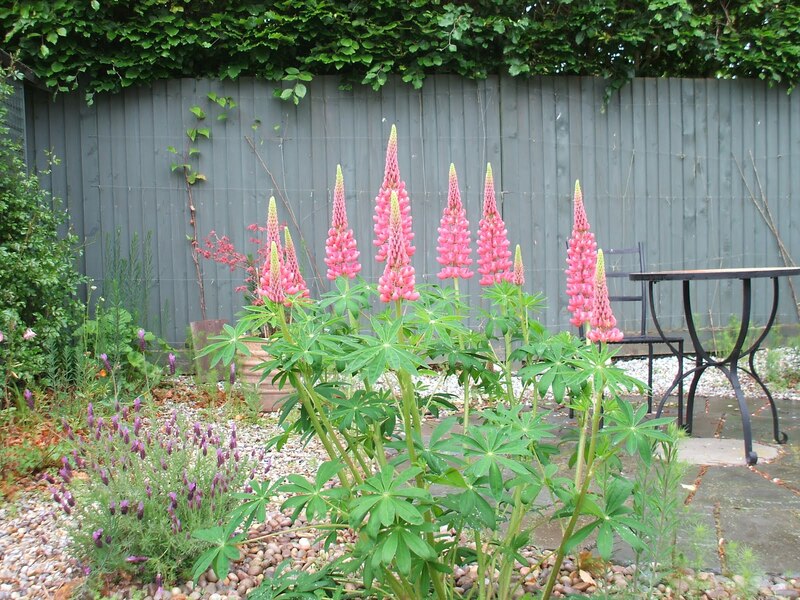 Your lupins are lovely. I just weeded round mine as they got choked out last year. Still only a few leave son them though. Ha ha ho Ho :-) Thanks Heather - trouble is I popped in for a quick glance and spent 15 minutes!!! Dennis Moore indeed! 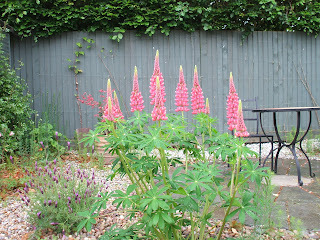 The lupins are pretty too!